I was lucky enough to find time to forage some beautiful Michigan fruits this past weekend. 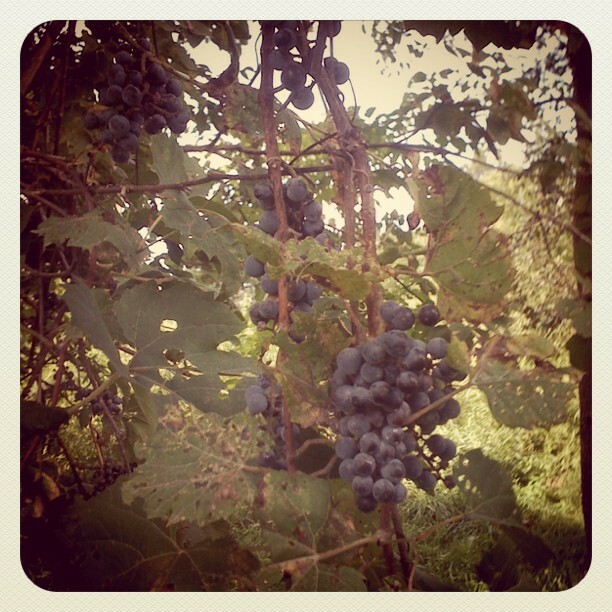 I found some fabulously lush bunches of grapes along the rural roads where I live. These plants were so thickly dripping with grapes that I didn't even make a dent when I picked almost five pounds of them! 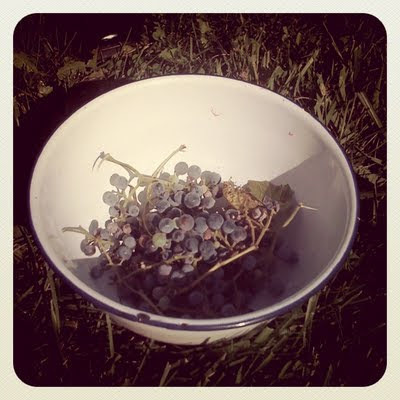 It was particularly satisfying to pick clumps of 20-30 grapes per stem and I know that if I need more they're just right out there, growing on their own, and there is no way I could pick enough to dent the current supply. The last thing I picked before heading home was elderberries. I found a spot on a rural road only a few miles from my house and the berries were hanging so heavily that with just a touch the hollow, pithy stems would just *snap* off into the bucket. How fun! 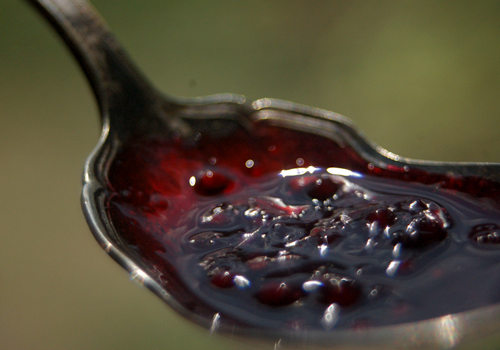 Of course what was not fun was picking each little teeny berry off of the stems before making syrup. Are you harvesting anything from nature this time of year? Well I guess I lied. I've been terrible about posting this week! What a funk I can go into, and all it takes is just a little head cold to put me there. Ick. 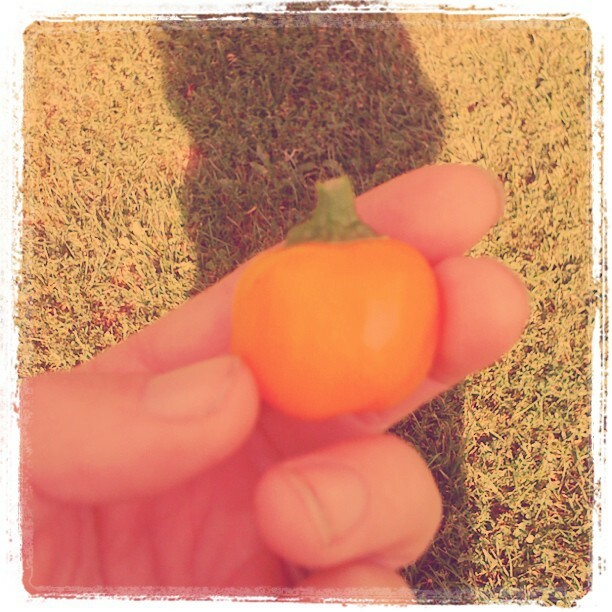 So aside from Doctor Who devouring my entire life, I've been up to some pretty serious harvesting. 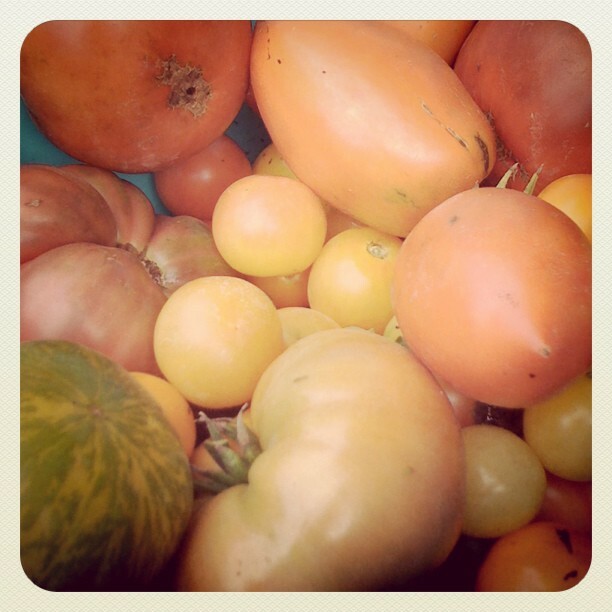 We've got tomatoes finally coming in, the summer squash have picked up again and the second planting of beets is threatening to take over my life. The best part of all of this year's harvest is that I've been able to sell a number of produce boxes to friends and acquaintances, so I'm able to start building a seed fund for next year's garden. Mwah hah hah. These boxes have been a lot of fun to pick, especially because if I know the person I'm picking for I can cater to them and their tastes. Jalepenos for the spice lovers, cucumbers for the picklers... etc. The other disappointment this year has been the cucumbers! I had quite a few at the start, but they were shaped all strangely. Now the vines are all drying out and miserably gnarly. I just don't know why this is, especially because the melon plants seem totally fine and they're in similar areas of the garden. Hmm... curious..
Oh! We've also had a beautiful visitor in the brassica patch, living atop one of the sunflowers. Right, so what's going on in your late summer gardens? Is your harvest in full swing, or is it winding down? Ah! Pear season is almost upon us and I cannot help but daydream about pear tortes! Looks like the Bartlett will beat the Seckle this year. The Seckle are looking kind of small and ill this year. Bummer. I'll be adding the pears to produce boxes as soon as I am able to get enough. For now I'm trying to locate a good ladder to use so I can harvest from the geriatric and dreadfully humongous trees we have. 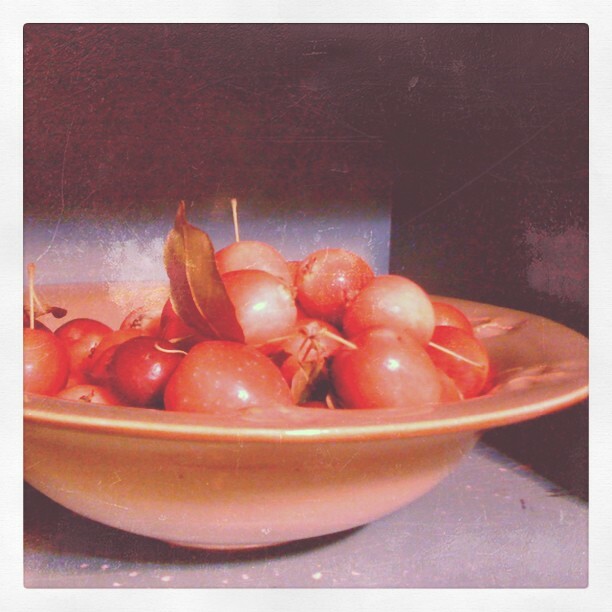 Found some beautiful gem-like crab apples at the Ann Arbor farmers market yesterday. Their blushing red hues were simply so gorgeous I couldn't avoid it. Now to make some tart apple marmalade! Have you ever used crab apples in baking or cooking? What did you make with them? I know it's totally cheating to post a Friday Favorite on Saturday, but I just had to share this with you. 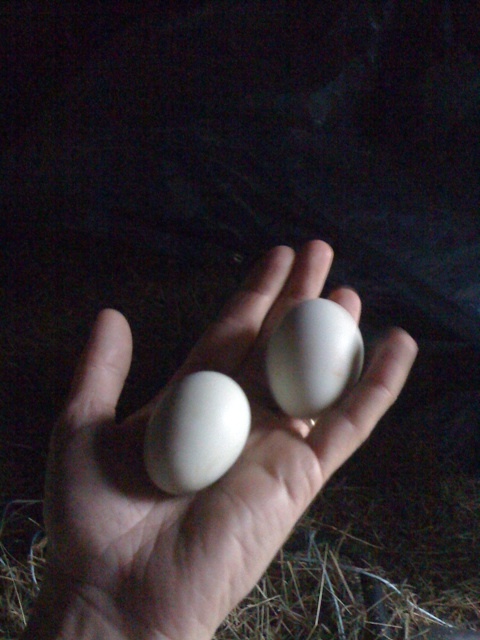 Our ameraucana chickens have started laying! We are getting at least two eggs a day, beginning three days ago, and this morning I found three! My Friday Favorite is really the ruckus that accompanies the egg laying. Each time a chicken lays an egg, she stands up and struts around, telling the whole world about her achievement. This is the sound they use so often for movies and television... the "Bok Bok Bok Buh-kawk!" sound we associate with chickens. It's such a sweet sound, despite the fact that it sends the dogs into a tizzy, convinced the farm is being invaded by coyotes or something. I'll be using the eggs today to brush the tops of my hand held mini pies that I'm planning. Do you have pets, poultry or livestock that have endearing routines? I apparently cannot maintain both the blog and the summer camp simultaneously. It's like they cancel one another out. 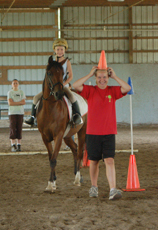 When I have a week of summer horse camp, try as I might I cannot bring myself to blog. It's an exhausting, albeit satisfying job and today is our last day of camp for 2011. Whew. I really didn't think I'd make it through another year, but I have. I've been running the Bucklebury Horse Camp for six years now and it's become both easier and harder with time. We have routines, and groups of counselors/instructors that work very efficiently together. 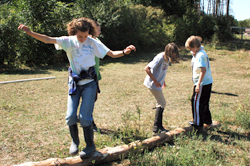 We have returning campers every year that provide a sigh of relief in moments of confusion. We have horses that know their jobs and accept them (almost always) gracefully. Summer camp always teaches me a bit more about myself each year. This year I've learned that I need to take care of myself just a bit more than I have been by limiting the weeks of camp we run and by delegating. I was severely in danger of burning myself out on camp this year, but the fact that we pared the weeks down to four from six really helped me focus on keeping camp a fun and exciting experience. There was a point at the end of last summer's seven week run that I was seriously considering closing things down. 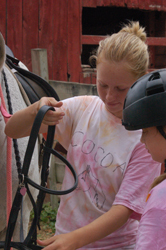 I was sick of horses and kids and paint and tiedye and everything else that I had to deal with on a daily basis. I wanted a job where I had a boss that told me what to do. I wanted to go into zombie mode and rest my brain and take orders like so many other people in the world do. My dear husband stopped those thoughts in their tracks, pointing out that I've never been very good at following directions, especially when I think I can do things more efficiently. I suppose he's right. Ah well. Until next year, I suppose. I just hope I can remember how to delegate in 2012. 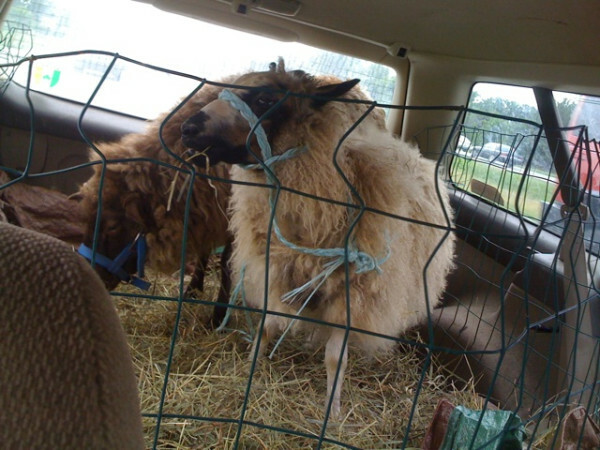 I had to choose sheep as my first venture into livestock. Of course then we're hit with the hottest summer we've had in years and I, a lowly newb of a shepherdess, am so over my head it's not even funny. In case you haven't heard, Gertrude is not doing well. She had what we believed to be white muscle disease and over the past ten days had made a fantastic recovery. Then yesterday morning I went out to find her with the very beginnings of bottlejaw, which is a sign of severe anemia. The strange thing is I had just wormed her, and I'd been treating her with all sorts of supplements and vitamins. The bottlejaw showed up much faster than I'd ever heard of, materializing into a massive lump within just hours. By the afternoon heat, Gertrude was lying flat, still in good spirits, but very, very lethargic. The evening showed a bit of improvement, as she was up again, and walking around the field. Then this morning she was flat again, this time in the cool morning air. Her ears were lower than usual, and her eyelids, in a sort of drunken lethargic stare. I gave her a bit of vitamin B and started the phone calls. 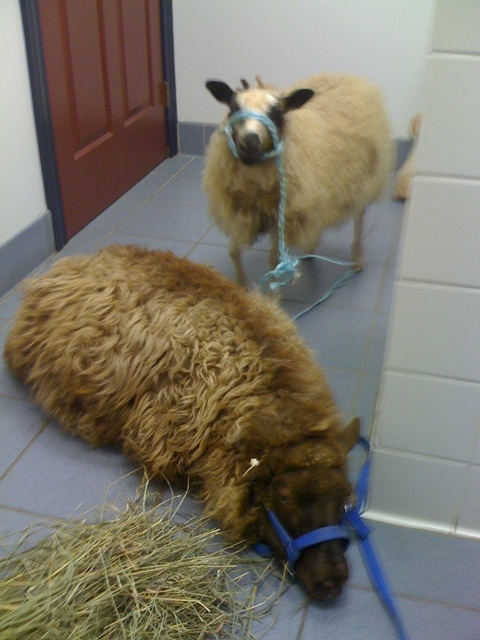 There are so many vets in this area that don't treat sheep it's ridiculous! I finally found one who would be able to see her, but their mobile unit was in the shop for the day so they asked me to bring her in. Yeesh. Have I mentioned I love my station wagon? We brought them into the vet and within a few minutes the doctor seemed a bit stumped. When he heard that she had a miscarriage earlier this year he began to suspect perhaps Gertrude had only miscarried one of twins and that she might have a mummified fetus internally. Out came the ultrasound and after an interesting struggle, all the while with Brighid trying to stand on top of Gertrude to protect her, we were able to see that Gertrude has a massive amount of fluid in her abdomen, which is connected to the bottlejaw. What the vet unfortunately could not see was anything indicative of a mummified fetus. Of course this didn't rule out the possibility. As with all ultrasounds, it just meant there just wasn't a mummified fetus on the screen. Basically we're giving her antibiotics and anti-inflammatories in the hopes of getting her through the hot weekend. She did have a fairly high parasite load of worms that are not covered by the Levasol and Safegard that I had given her, so we treated both little ladies with IM Ivermectin. I can only hope that those treatments, combined with increasing her vitamins B and E, her protein, her trace minerals, her selenium and her grain we can get ahead of whatever it is that she is suffering from. What a day. So if you'll excuse me, I intend to finish the rest of my grouchy, grumbley day in my pajamas, on the couch, watching Dr. Who on DVD... eating junk food. 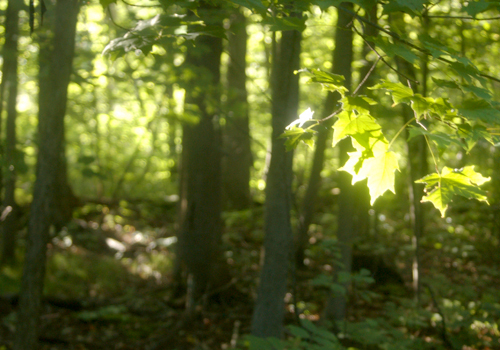 A day spent foraging in the woods for food can be a real nightmare. I've had those days, where you start out thinking what a beautiful day to collect nature's bounty! You head out, basket in hand, and within minutes you are soaked through either with sweat or with rain from a freak midsummer monsoon. You're covered in bug bites, your head aches from dehydration. Ick, right? My most recent exhibition into the surrounding fields proved to be just the opposite. It seems like I had grown so used to the miserable foraging experience that I truly didn't know such a wonderful and pleasant day could exist! I left for the horse farm, which backs up to more than 80 acres of deciduous and coniferous woods, wetland and open meadow, shortly after seven in the morning. I'd never foraged at the farm before, simply because it's where I work, and as I'm always working when I'm there I tend to associate it with a certain level of responsibility and routine. 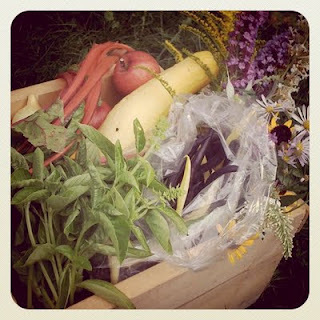 Still, once I headed out into the woods with my baskets I found myself free of all of those feelings of obligation. These are places that have may have been cattle fields many years ago but have been reclaimed by mother nature in more recent times. 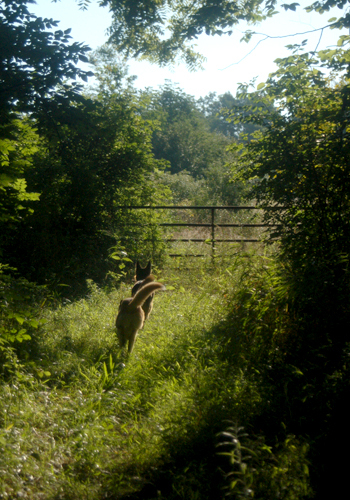 Apart from the places that we ride the horses there are no trails except those of the deer and cottontail. There are no indications of direction apart from the sun and the direction of the wind. I took Connor and Basil with me and they had a great time romping with each other, snapping at flies and chasing red squirrels up trees. 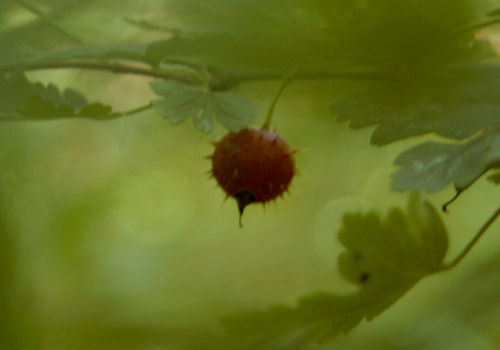 The trail was dotted with an incredibly diverse array of ripe berries. There were the rich and juicy wild blackberries nestled beside the small unhappy end of the black raspberry crop. There were draping tendrils of dewberries that tickled some intangible memory of my grandfather in the back of my mind. There were even a few bizarre blackberry-like plants that made me think maybe they were a sort of wild Loganberry, a raspberry/blackberry cross. 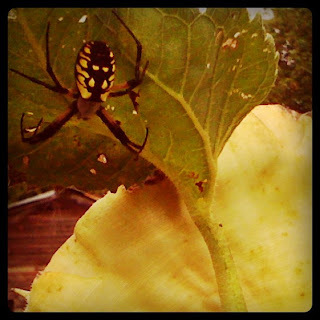 Most prized to me were of course the hardest to spot and the most vicious to defend themselves. 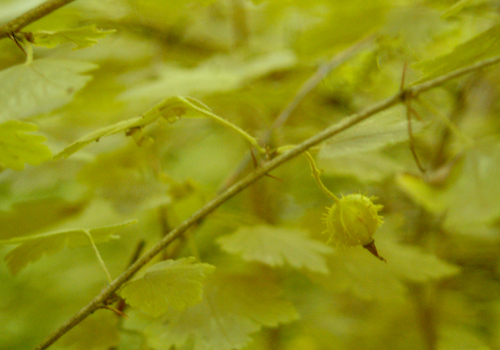 Wild Gooseberries! They may be silly looking, with viciously sharp thorns not only on the branches of the shrub but on the berries themselves. These tart little berries pack a major pectin punch, and I was able to forage a few (responsible) handfuls to use as a natural source of pectin in the wild berry jam I was planning. I admit I also took a couple careful cuttings to try to root so that I can try to grow them out back in the old orchard at my home. 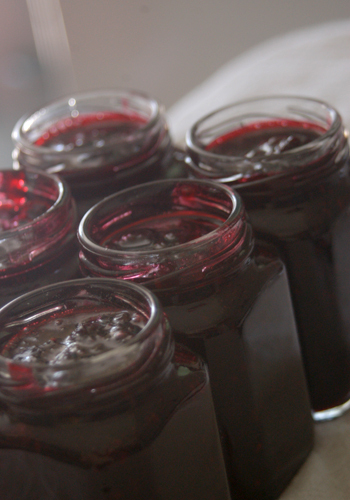 The following day, I carefully and lovingly combined my berries with local honey and a bit of organic cane sugar to create a simple and wild-tasting blackberry jam. I haven't actually tasted this since it set, but I admit I slipped many a quick teaspoon of it into my mouth as I waited patiently for it to set. It has a flavor that speaks of the four hours I spent picking. It has depth and musk and a sort of expansive taste, rather than tasting specifically identifiable as blackberry. It tastes like a cool, misty summer morning of foraging. When I get around to tasting the final product I promise I will post the recipe. The jars are just so small and so few that I'm hesitant to crack them this early in the season! I hope you understand. 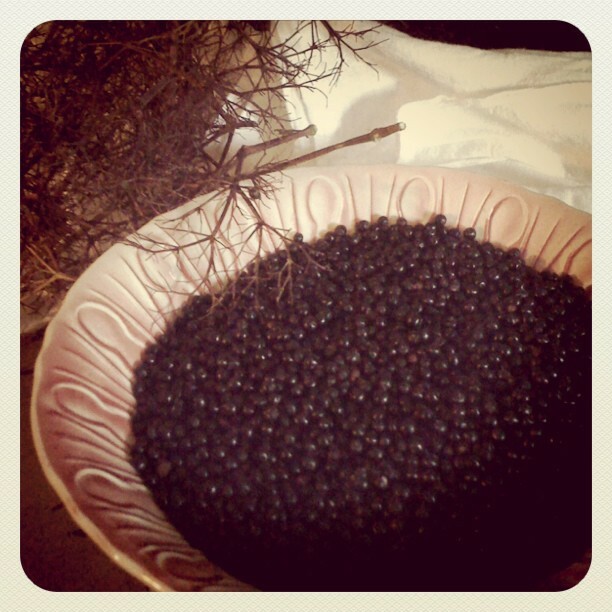 Have you ever foraged for berries? Which varieties? Does it feel like something foraged is more or less dear to you? Now, I haven't Googled this to see if it's common knowledge, so forgive my naïveté if it is, but last night I stumbled across the simplest way to keep an avocado fresh and green for at least twelve hours. I'm a huge fan of avocados. Though I often forget this fact, when I do manage to remember, I find myself gorging on their subtle sweet slimy goodness as often as possible. My favorite sandwich in the whole world is fresh turkey with a good hunk of crunchy lettuce, a thin slice of fontina and half of an avocado sliced and laid out. The problem is, I don't often eat more than half an avocado (some fats are good, I know, but they're still fats) and my husband can't stand them, even after my repeated insistings on guacamole taste-testing (poor guy). Anyway, last night we had some truly delicious and simple microwave nachos for dinner. It's hard to bring one's self to cook anything when the heat is as bad as it's been here in Michigan. I made my nachos with some corn, pickled jalepenos, tomatillo salsa, cheese, black beans and topped it off with a beautiful half avocado (I love California's summer fruits, even if they have to travel a long way to get here!) and found myself staring blankly at the other half. What was going to happen to it? So often I waste the "other half" simply because it goes brown and mushy within a few hours of being cut open... I'm picky, I admit, and won't eat a brown mushy avocado. 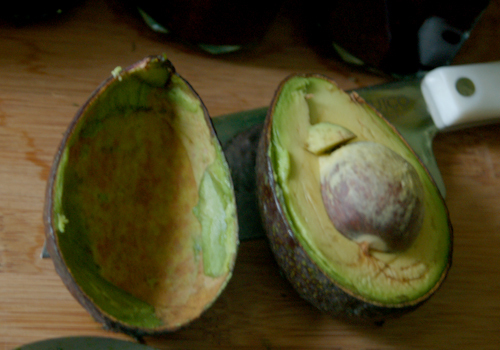 So I stood there staring at the half avocado and then at the shell of the half avocado skin. 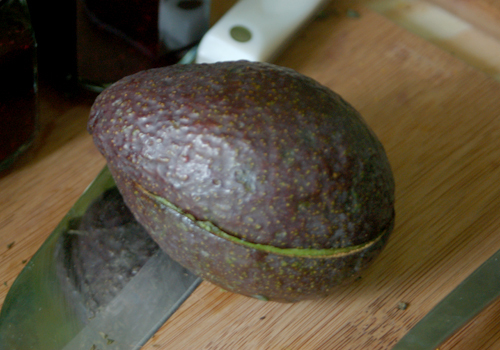 It suddenly occurred to me that if the avocado wasn't exposed to anything other than itself it might (for lack of better words) think that it was still whole. Okay, I know this is a totally silly notion, but ah well, I tried it. I took the shell of the skin and set it over the avocado to make it look like it was whole again and left it on the kitchen counter for the night. This morning I went to check on it more than twelve hours later and Lo and Behold when I pulled off the empty half the other side was green and as fresh-looking as it had been the night before! I could remember some vague concepts from science about the ripening of fruit and oxidation speeding along various enzymes... or something... It's been a while. That's where my thought came from and I'm glad I was right to try it out! 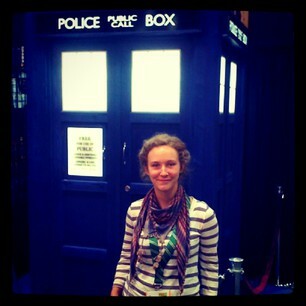 So yes, I know I'm a total dork for giving this a shot, but Hey - It worked!